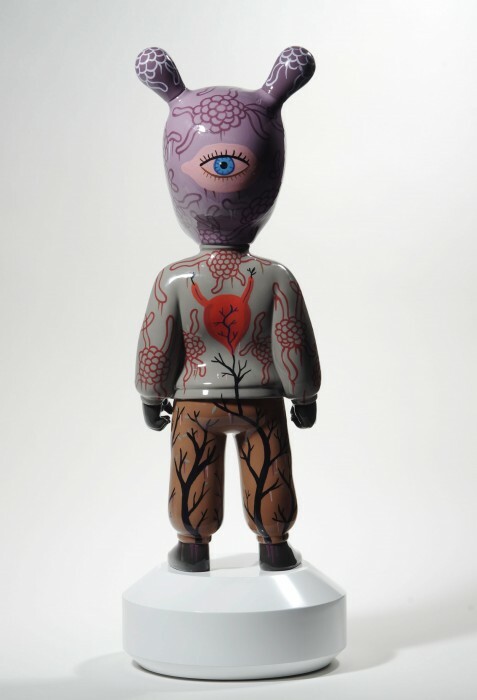 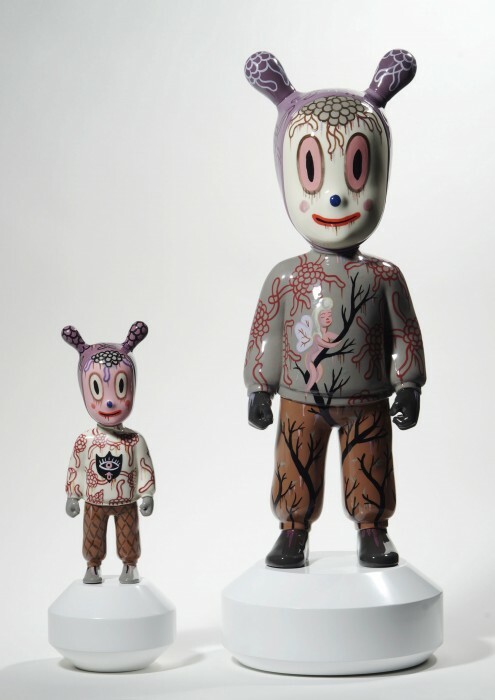 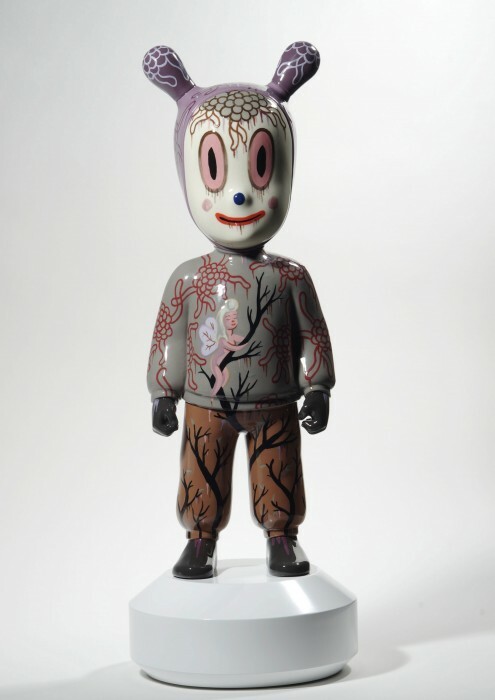 Los Angeles-based artist Gary Baseman teamed up with high-end porcelain house Lladro on a collection of figures for the company’s ongoing series, The Guest. 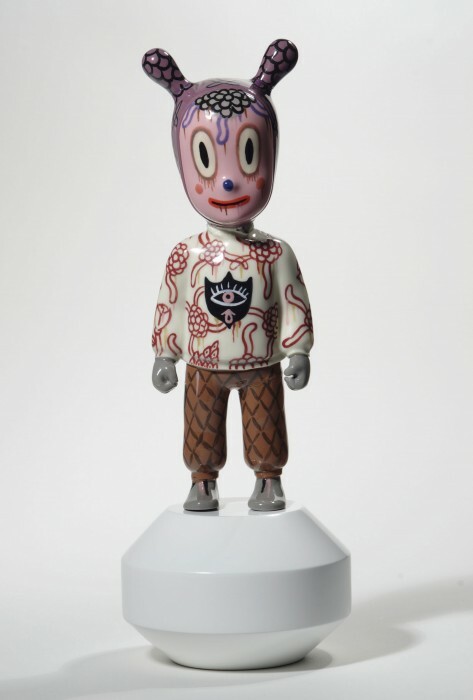 Following the work of Tim Biskup and Devilrobots, Baseman’s contribution is analogous to a celebratory bouquet of flowers in someone’s home. 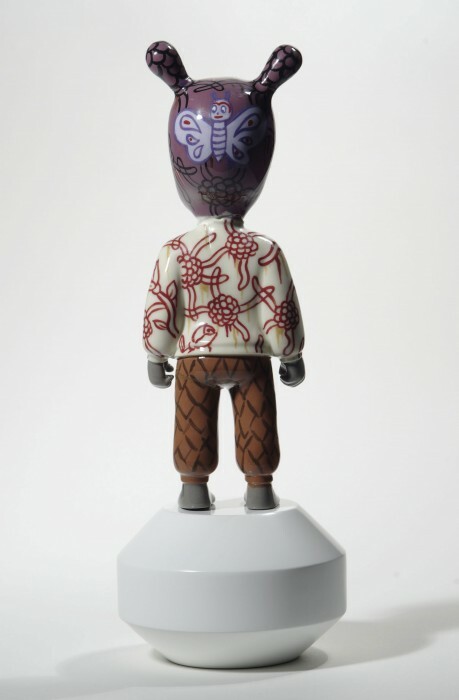 His designs for the series include personal nostalgic symbols and even reference the space the exhibition is housed in like the pattern appearing on the wallpaper.